In this quick guide, we will walk you through the process on how to legitimately download iOS 7 beta 4 and install on your iPhone, iPad and iPod touch. More details can be found right after the jump. iOS 7 beta 4 was released last week to quite a bunch of noise surrounding the security breach of Apple’s iOS Dev Center. With Apple pushing out pre-release iOS 7 beta bits to developers around the globe on a bi-weekly schedule, iOS 7 beta 4 dropped on the iOS Dev Center a week later from the usual Apple-defined timetable. 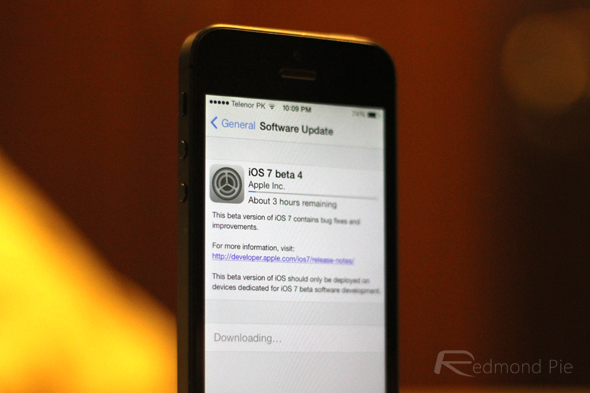 There are a couple of routes you can take on how to download iOS 7 beta 4 on your iPhone, iPad and iPod touch. Let’s go through each one quickly and a few changes which iOS 7 beta 4 brings forward to the table. If you’re a registered developer and have beta 3, or any previous iOS 7 beta build installed on your device, performing an OTA update is as easy as pie. Simply go to the Settings app on the iOS device in question, then select General and head over to the Software Update section. The beta 4 update should be there waiting for your final approval before installation, as shown in the screenshot below. 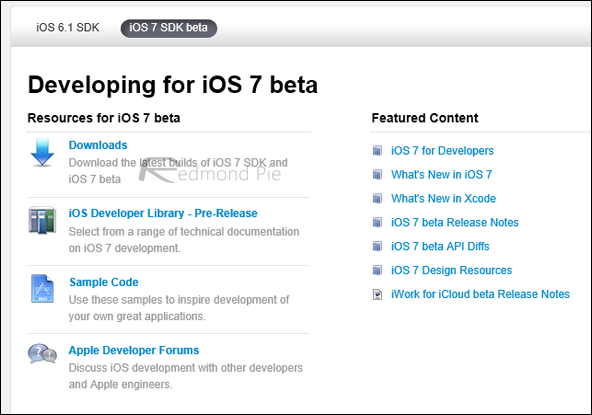 If you’re new to the iOS development scenario, and are running a version of iOS on your device prior to iOS 7 beta, then you might want to take the fresh route of registering yourself as a developer, registering your device with Apple for deploying pre-release software and then ultimately downloading and installing iOS 7 beta 4 on your device. 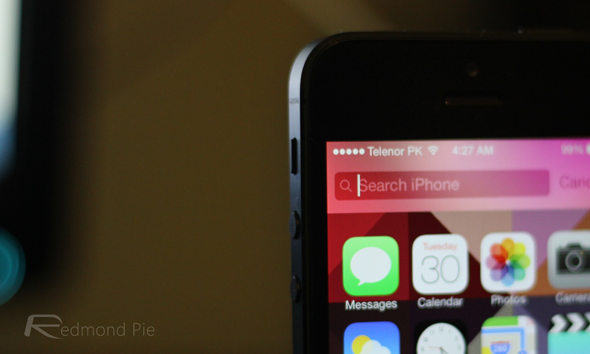 We have a detailed guide on how to download iOS 7 beta and install on iPhone 5, 4S, 4, iPod touch and iPad. But, keep in mind, before moving forward, it should be thoroughly noted that iOS 7 beta 4 does not support older iOS hardware by Apple. If you’re in ownership of the 4th-gen iPod touch or an iPhone 3GS, or any older iOS device for that matter, then you’re out of luck. If you’re already registered with Apple as a developer, then simply download the .dmg file tailored for your iOS device, and install using iTunes on your PC / Mac. Note: The links embedded below are official links from iOS Dev Center. 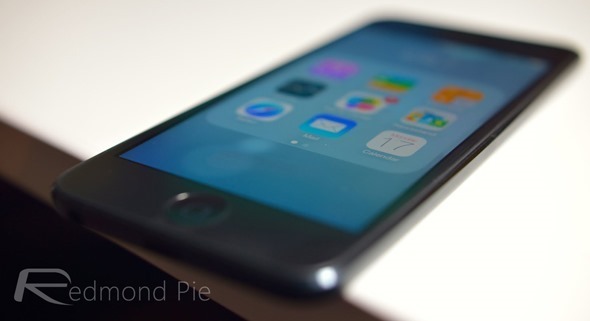 You will need to be logged-in into your Apple Developer account for the downloads to begin. As we mentioned before, device compatibility must be taken into account before you go ahead with the download. If your device is not listed in the image shown below, then it’s not supported, and it’s highly likely that Apple won’t take a u-turn and support older devices at the last minute. Be sure to check out our iOS 7 beta 4: Here’s What’s New post, where we have highlighted the prominent changes in detailed bulleted points. Our experience with iOS 7 beta 4 on iPhone 5 has been quite positive, and having used it for a couple of hours straight right after its release (up till today), iOS 7 is definitely showing some fruitful signs of improvement, if you manage to look past those mega flat stock app icons, of course. Like we mentioned at the start of this post; beta 4 doesn’t really bring anything new, and instead the main focus solely lies on how polished the OS becomes before it is finally pushed out to the end user this fall. Give iOS 7 beta 4 a try on your iOS device using the methods we have outlined above, and do let us know in the comments section below what you think about Apple’s latest OS for mobile devices.